On Memorial Day weekend, millions of Americans plan family reunions, camping trips or a solemn trip to the cemetery. Memorial Day honors friends and family who have died, in particular people who have given their lives serving their country. One Stayton resident who gave his live for his country was Paul Truman McClellan Jr. A captain with the U.S. Air Force, McClellan was shot down and killed in action on Nov. 14, 1965 while performing strafing runs in an A1-E Skyraider during the battle of Ia Drang Valley in Vietnam. The battle of Ia Drang Valley, the first major battle of the Vietnam conflict involving U.S. troops, was memorialized in the book “We Were Soldiers Once … and Young,” co-written by the Ia Drang battlefield commander Lt. Gen. Harold “Hal” Moore and war correspondent Joseph L. Galloway. The book was adapted to the movie We Were Soldiers, starring Mel Gibson and Sam Elliott. McClellan’s name is listed in an epilogue at the film’s conclusion. McClellan, born in 1931, grew up in West Stayton, where his parents operated a general store and post office. He attended West Stayton Elementary School and graduated from Stayton High in 1949. He graduated from what is now Oregon State University in 1953 and received a commission through the ROTC as a 2nd Lieutenant in the Air Force. He then set out to make a career of service in the Air Force, serving for 12 years prior to his death. His career posts included Tucson and Phoenix, a couple locations in Texas and a stint in England. 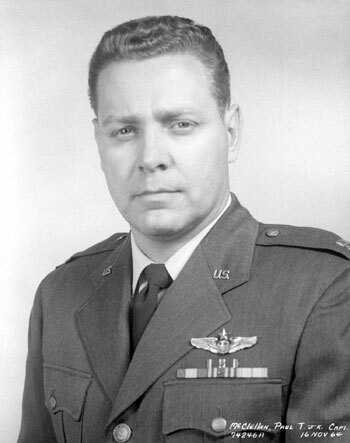 He qualified to fly F-101 fighter jets and prior to his deployment to Vietnam was an instructor at Nellis AFB, Nevada, flying F-105 Thunderchief jets. 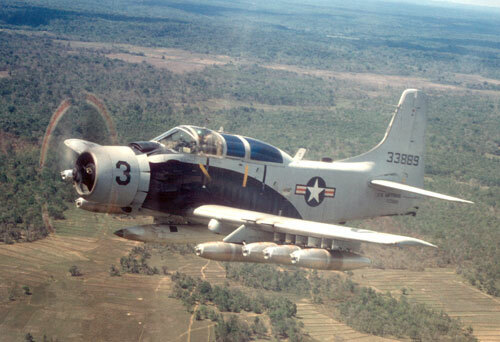 McClellan’s original mission in Vietnam was to train South Vietnamese pilots in flying the propeller-driven Skyraiders. As the war evolved, the American trainers also began to fly solo missions and McClellan was credited with 125 missions. Decorations resulting from his heroism in the Ia Drang Valley included the Distinguished Flying Cross and the Purple Heart. More recently, apparently as a tribute from the U.S. Army, representing the troops he was protecting below, he was also awarded the Bronze Star with Valor. While in college, McClellan married his high school sweetheart, Valerie Walker, also a 1949 SHS graduate. She has since remarried and now lives in Independence. Their four children included Paul of Bend, Robert of Keizer, Patricia of Independence and Suzanne of Idaho. Paul J. McClellan was 13 at the time of his father’s death. “He had high professional standards and that’s been an inspiration to me during my professional life,” Paul J. McClellan recalled, adding he also remembers his father as an avid hunter and fisherman. A retired insurance agent and Stayton Class of 1952 graduate, Jack Darley remembers McClellan well. “He was a great guy … a real athlete. I would say basketball was probably his strongest forte,” Darley said. Darley remembers McClellan “buzzing the West Stayton area” a couple times in a jet. “I assumed he was getting permission to drop down to the lower altitude, but he would buzz the parents’ place… and when you buzzed the parents, you were buzzing the West Stayton area,” Darley said. Darley recalls McClellan would practice basketball on the second floor of his parents’ store. To make a basket, he would have to shoot over, through or around the rafters. Darr Goss, CEO of Capital Valuations in Salem, was a close life-long friend of McClellan’s. Both were in the same class from first grade at West Stayton Elementary through their senior year at Stayton High. While McClellan went to Oregon State, Goss attended the University of Oregon. However, upon graduation, both went to primary pilot training in Arizona. McClellan chose fighter pilot training and Goss opted for multi-engine training. Goss’ Air Force career spanned 26 years before he retired and returned to the Mid-Willamette Valley area. Goss observed his friend was a man of “absolute integrity and great moral character.” He added McClellan was “… an inspiring leader on the athletic teams. When they needed a spark … when he went in, he kind of sparked the team and led ’em to bigger and better things.” Goss also recalled that McClellan was SHS student body president in 1948-49. “I’ve got nothing but good memories,” he said. Joe Peters of Sublimity remembers McClellan. “We did a lot of running around together in high school,” he said, adding “The last time he (McClellan) came home, Chuck Morgan had a party for him and … that was the last time we ever saw him. He never came back.” Peters also recalls the memorial service held for McClellan at Stayton High. Capt. McClellan’s remains were never recovered from the Ia Drang battlefield. Nevertheless, he is remembered with a headstone at the Mount Hope Cemetery. Also, a plaque accompanies a flagpole dedicated in his honor at West Stayton Elementary School. Darley and Goss both recall that the dedication ceremony featured a “missing man” formation flyover by Air Force jets. Capt. McClellan’s name is inscribed at Panel 3, line 50 on the Vietnam Veterans’ Memorial in Washington, DC. “I was overflying Landing Zone XRay in the command Huey of Colonel Tim Brown, 3rd Brigade commander, 1st Cavalry Division, hoping he could land there so I could bail out and join the troops … Suddenly beneath us flashed an A1-E Skyraider fighter plane, streaming a long plume of smoke and fire … Capt. Paul T.
So pleased to have this forwarded to me. While manning my machine gun at lz-xray, I was one of the last to see him fly past me and just above the tree tops, his plane in flames, he disappeared into the jungle. He was looking down in my direction and I screamed for him to get out. I knew he could not hear me but it was all I could do. Had it not been for him and his actions that day I don’t think we would be alive today. A real HERO to me and the men of the 7th Cavalry. GOD BLESS HIM! A moving memorial to a great man. Not sorry I missed Nam, 4-f’d out of ROTC in ’67. Paths often cross – Jack Darley is a long-time friend as was his father, Herman.